A Carl's Jr. turkey burgerCarl's Jr. Roughly a year after becoming the first major fast-food chain to launch all-natural beef patties, Carl's Jr. has its sights on overhauling another protein: turkey burgers. 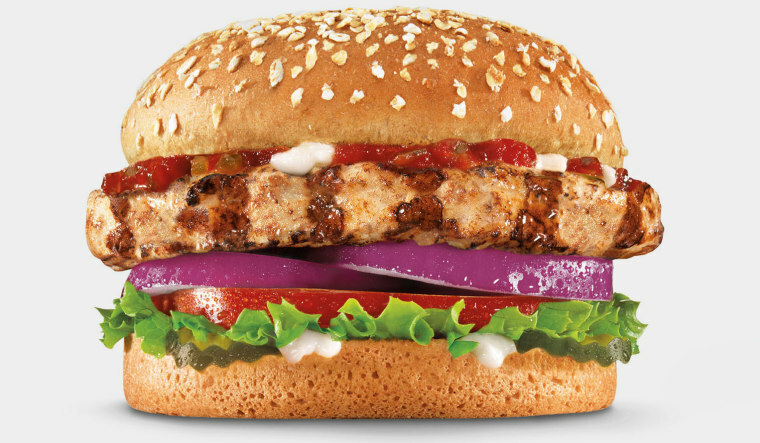 On Wednesday, the CKE Restaurants unit will launch a line of all-natural turkey burgers, raised without antibiotics, in restaurants nationwide. Carl's Jr. is touting the new line as a first for the fast-food industry. "Even though most people know us as the brand to introduce indulgent, creative burgers, we also have a long history of introducing better-for-you fare, which is a surprise to some people," Carl's Jr. Chief Marketing Officer Brad Haley said in a phone interview. The move is aimed in part at millennial diners, one half of whom comprise the "young, hungry guys" that Carl's Jr. targets. Haley said this group has grown to expect food that's all-natural and free of antibiotics and hormones. Preparing for the switch to all-natural turkey took Carl's Jr. about a year. In tandem with the overhaul, customers will also see turkey burger prices rise 80 cents at company-owned locations, Haley said. Franchised restaurants set their own prices. Katie Little is a staff writer for CNBC.com.